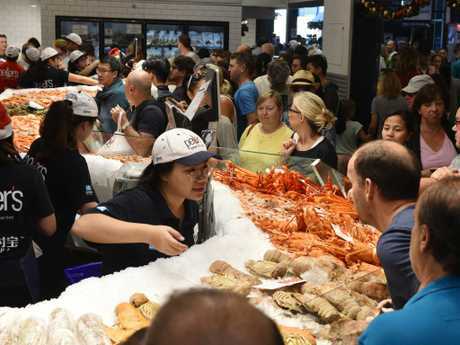 MORE than a day into the Sydney Fish Market's 36-hour marathon, tens of thousands of seafood lovers have descended on the Pyrmont stalwart to prepare for their Christmas feasts. 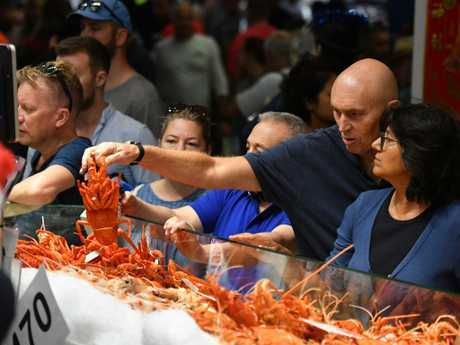 Marketing manager Stephanie Williams predicts retailers at the market will sell 700 tonnes of seafood before it closes at 5pm. 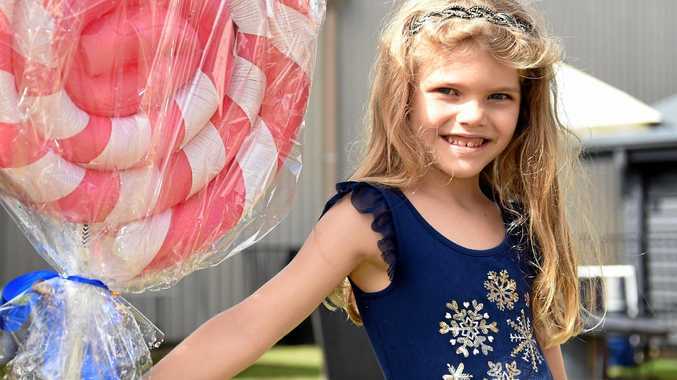 The market's busiest period, a selling marathon in the lead-up to Christmas, is expected to draw 100,000 customers with the peak expected between 11am and 1pm. 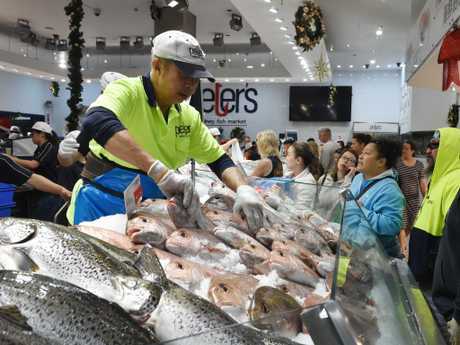 New healthy eating trends are seeing whole fish, sides of salmon and barramundi take centre stage in the festive season, the market operators have noted. "People are becoming a lot more health conscious and I think that the idea of a light and healthy seafood meal is quite appealing," Ms Williams said. Intrepid seafood lovers are looking beyond the traditional prawns and oysters and adding sashimi and sea urchins to their Christmas menu. 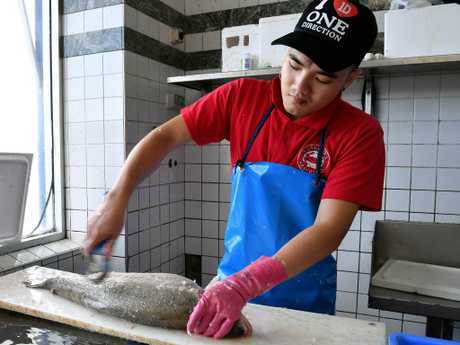 Jason Bridger-Berkeley, spokesman for Nicholas Seafood, also said that customers were branching out. "(It's) the whole MasterChef thing. 100 per cent … People are getting much more creative which is good," Mr Bridger-Berkeley. Salmon, barramundi and snapper were selling well for the business but surprise hits also included pipis and vongole - the latter of which had sold out by 9.30am on Monday. 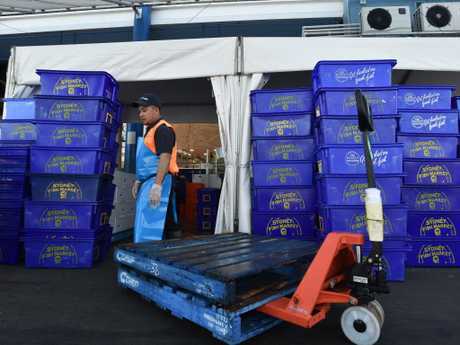 However, he and Ms Williams said prawns remained the most popular purchase with the market expected to sell up to 130 tonnes of the crustacean. 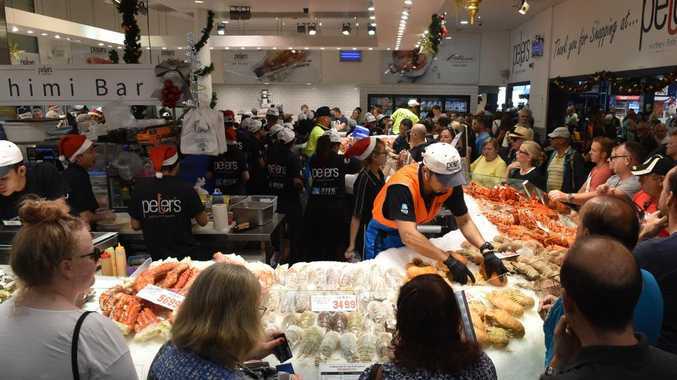 "People's tastes are getting more adventurous but when it comes to Christmas they are still sticking with the traditions for seafood," Ms Williams said. For those looking to embrace something new, Mr Bridger-Berkeley said he would recommend scampi. The "high energy" atmosphere of the markets was great to be a part of, he said. "This is our time to shine."